Get jars of baby food. 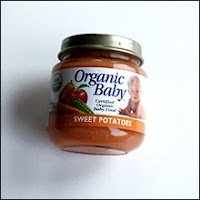 Play music and pass the baby food around like a hot potato. When the music stops, the person holding the jar must take a bite. Start process again.